4) It has user configurable hub over speed set points of 56, 57 or 58 RPM to help match different turbine configurations include blade size and generator types. 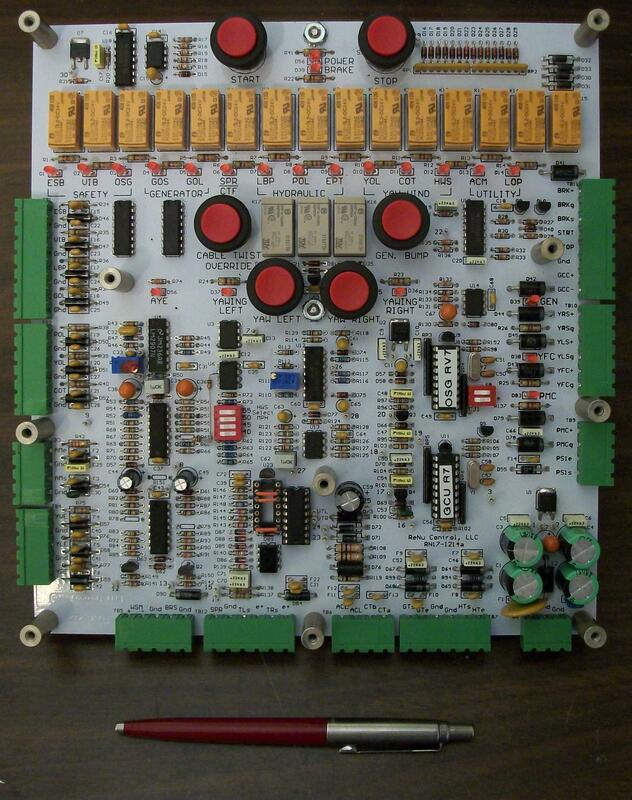 6) All manual operator controls and indicators are contained on the single circuit board. No external HMI, OIT or lap top computer are required for operation. 8) A SCADA interface is provided. 9) Uses the original Vestas Wind speed meter or if desired, can be configured for a digital meter, sold separately. 10) Has outputs for driving conventional Line Hours and Available Hours meters. ©2019 ReNu Control, LLC. All rights reserved.